In a medium sized bowl whisk together ponzu, rice vinegar, garlic, sesame oil, gochujang sauce, beef broth, brown sugar, onion powder, pepper and grated ginger. 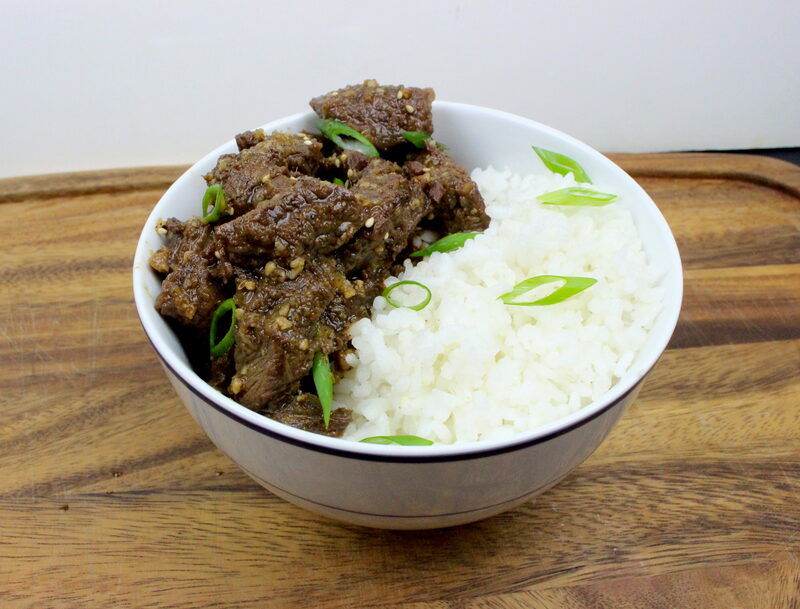 Place cubed beef inside greased Instant Pot® and season with salt and pepper. Close the lid and make sure the pressure release valve is turned to “sealing”. Select the “manual” setting, and set time for 10 minutes. When finished, quick release pressure by turning knob from “sealing” to “venting”. Drain excess water from Instant Pot® and set to “sauté”. Pour in the sauce and evenly coat beef, simmer for 5 minutes. Serve with rice and garnish with sesame seeds and green onion.